Bjørøya is gearing up for both rough weather and further growth. Recently, the company invested in a new AC 600 PVDB feed barge, which will be put into operation at one of the company’s most exposed sites. The Namdal coastline offers optimal conditions for Atlantic Salmon, but aren’t always as peaceful as one would wish. Several of Bjørøya AS’s sites are exposed for rough weather conditions and high waves all year round. Thus, when the company recently decided to invest in a new feed barge, they were determined to find a reliable model that could handle a lot of beating. “We rely on equipment that will safeguard our employees’ health and safety and provide optimal production results no matter what the weather looks like,” says General Manager in Bjørøya AS, Per Anton Løfsnæs. The company decided upon an AC 600 PVDB feed barge from AKVA group, a model that has been developed especially for exposed sites and is dimensioned for a significant wave height of 5.5 meters. It is 44 meters long and 12 meters wide, and will be delivered with comfortable living quarters, containing e.g. a large control room, kitchen, three cabins with in-room bathrooms, wardrobes, storage, workshop and a veterinary room. Its double bow and V-shaped hull makes the barge stand out from other models in the market. “The design makes the barge more stable than a model with flat hull. This means a lot when it comes to operational safety and comfort on board. This model also has built-in feed selectors, which from our experience is a huge advantage in rough weather,” says Bjørøya’s Production Manager, Marius Olsen. Earlier this year, Operations Manager Ken Sverre Høstland (from right), Operations Manager Joakim Dølvik and Production Manager Marius Olsen from Bjørøya AS paid a visit to Lerøy Aurora AS, which had similar barges delivered in 2017 and 2018. Here they are with AKVA group’s Regional Sales Manager Northern Norway, Jøran Strand (image: AKVA group). The barge will be delivered in September 2019 and hooked up to Bjørøya’s remote feeding central, which is located in Flatanger Havbrukspark together with the company’s central administration. The remote feeding central will at this point control and monitor the feeding at five different sites. When the company switched to remote feeding two years ago, they were able to give the feeding a completely different focus. “Previously, activities like lice handling took a lot of attention from the feeding. We now have a more flexible and specialized team,” the Production Manager says. The company also has two other feed barges from AKVA group and are very pleased with their durability and operational safety. “This, together with our good experience with AKVA group’s service system, were decisive factors when we were to choose a supplier for the new barge,” Marius Olsen points out. 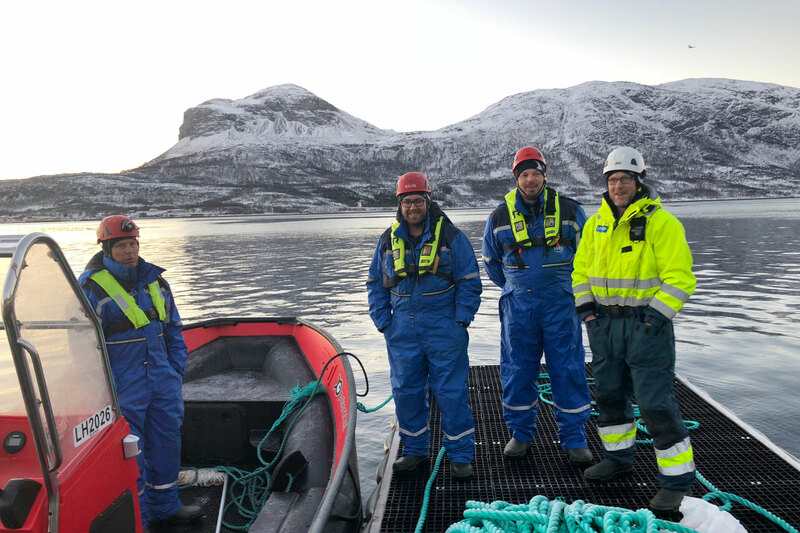 When the new feed barge is put into operation next autumn, five sites will be connected to Bjørøya’s remote feeding central in Flatanger. 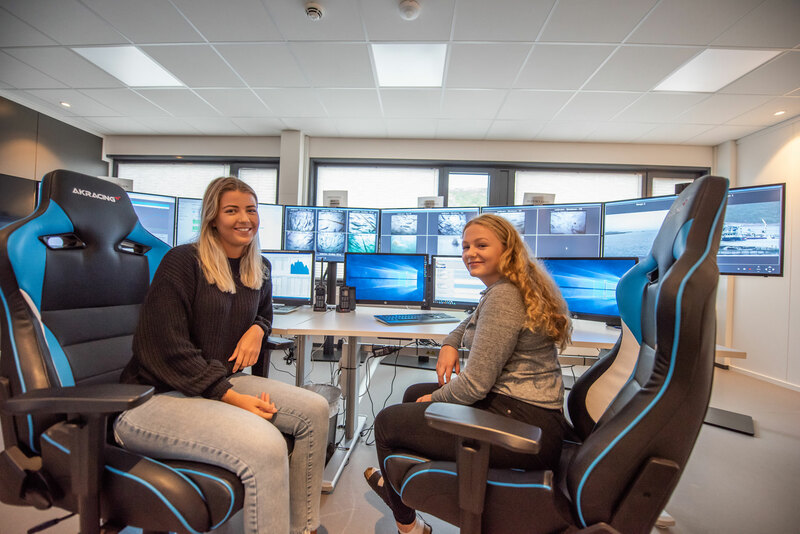 Here we see summer interns Connie Aakervik and Astrid Vedvik Havstein in full control of the feeding (image: Ole Martin Dahle/Bjørøya AS). It is important for Bjørøya AS to make sound environmental decisions, tells General Manager Per Anton Løfsnæs. This has led the company to hook up onshore power to three out of four barges. At its most exposed sites, this is however not an option. 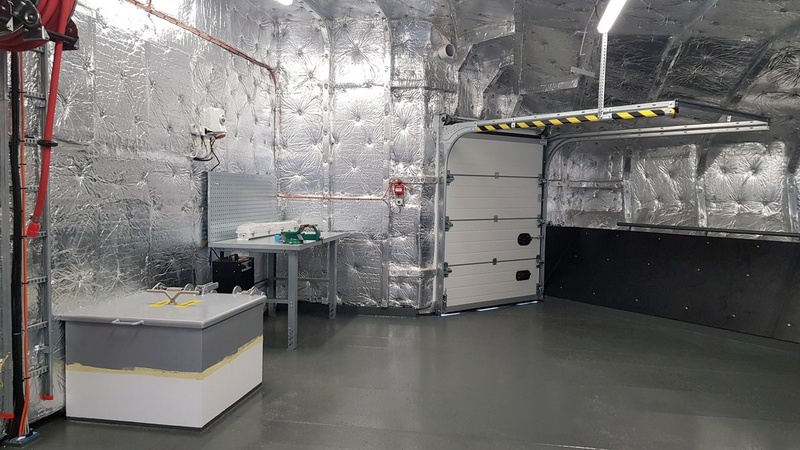 Bjørøya has thus decided to invest in a hybrid solution for its next barge, which will have Samsung batteries from TesVolt in addition to generators from Nogva AS. The battery back has a capacity of 158 kWh and a life expectancy of 20 years. According to Project Manager Per Kåre Fuglestad in AKVA group, the demand for hybrid barges is growing rapidly. “In addition to reduced costs, the consideration of the surrounding environment and our crew also weighs heavily. When a barge is running on batteries during nights, the noise level is reduced to a minimum,” Marius Olsen points out. 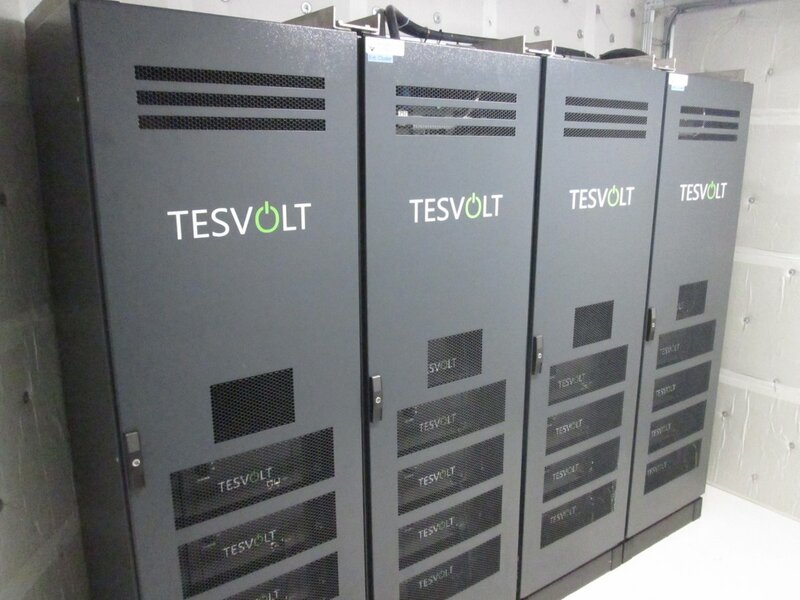 The barge will be delivered with a Samsung battery pack from TesVolt. The battery pack has a capacity of 158 kWh and a life expectancy of 20 years (image: AKVA group). 12 feed lines and level sensors in all silos from the Flatanger based company Meox AS are some of the features that will be included in the barge. The construction work will be carried out by the Estonian shipyard Marketex Marine, which has also built the other AC 600 PVDB barges AKVA group has delivered. “Including Bjørøya’s new barge, we have now sold five AC 600 PVDB barges to Norwegian clients. 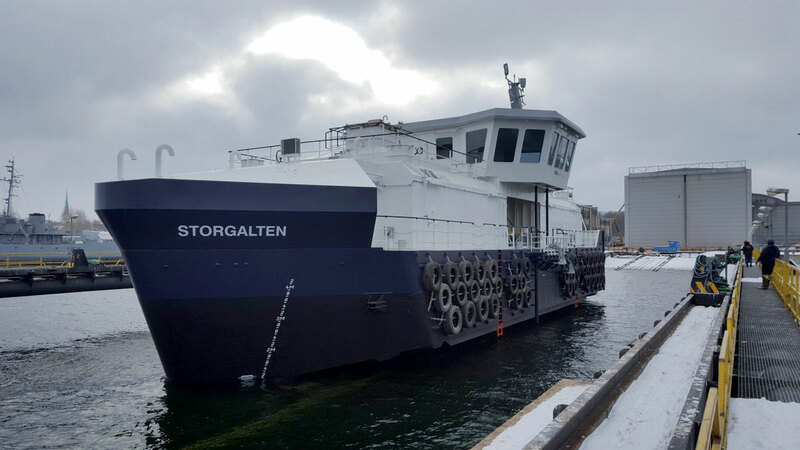 Three of the barges have already been delivered,” says Project Manager Per Kåre Fuglestand and points out that AKVA group has a close collaboration with its clients both when it comes to customization of existing models and the development of new models. “We live to meet our clients’ needs and always aim to be as flexible as possible. We see the development moving towards more exposed sites, and we’ve also started looking at a new concept for offshore fish farming,” he says. Options for a silage system with choppers and an Amco Veba V813 crane from Truck Tek AS are included in the contract. The barge will also have built-in shelter deck (image: AKVA group). The spacious shelter deck offers good storage and working conditions even during rough weather periods (image: AKVA group). AKVA group is recognized as a pioneer and technology driver in the global aquaculture industry for more than 30 years. Today, the company is the world´s largest supplier, from single components to large, advanced and tailor made cage based aquaculture projects.